I am pleased that you like it, Angela! Gorgeous and merry! Congratulations on your sale Richard! So whimsical ! Love it! Love this....Congrats on your sale! Richard, Brilliant Work!! Congrats on your sale!! Thank you so much Chrisann! 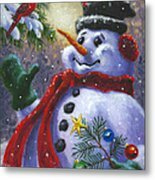 Congratulations Mid on the purchase of the ORIGINAL PAINTING "Season's Greetings"! I hope it gives you joy for many years to come! Merry Christmas! Awesome, fun, colorful holiday scene Richard! So cheerful. Love it love it! Beautifully and perfectly composed. Just tweeted and added to my favorites. L/F/T. Wow! I love your comments and thanks for the promotion Emmy! Love this image and your portfolio. Congratulations. Thank you so much Gena! Congratulations on your beautiful sale! 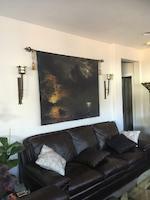 Stunning piece, congratulations on selling. Richard, Such an Adorable Snowman!..Congrats on your Sale! 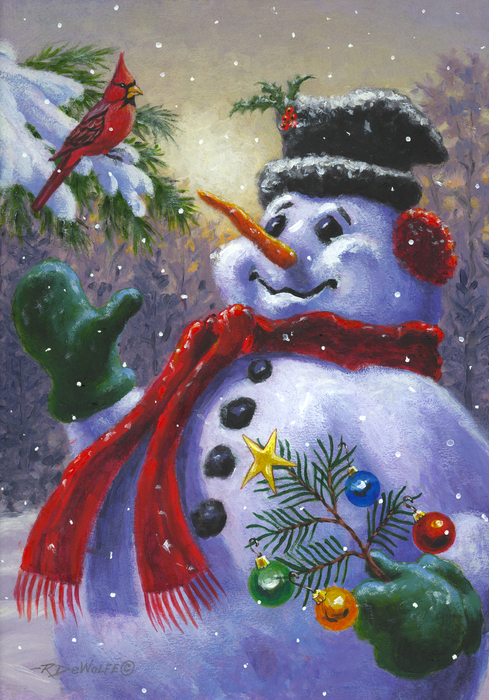 A cheerie Christmas snowman greets a bright red cardinal on a snowy winters day.